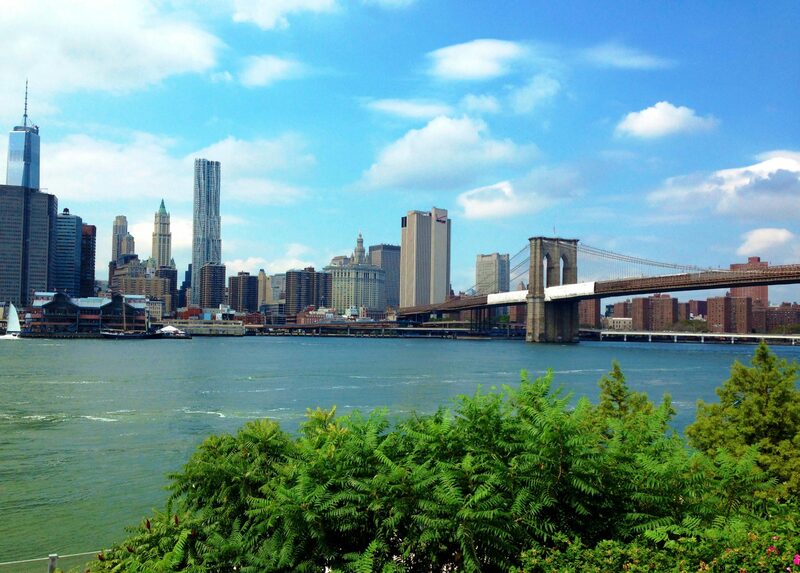 For many first-time visitors New York equals Manhattan. But just a couple of subway stops across the river lies a whole other world that deserves your visit. During my last summer in New York I spent one day in Brooklyn, so I want to share my favorite spots of this fascinating neighbor! 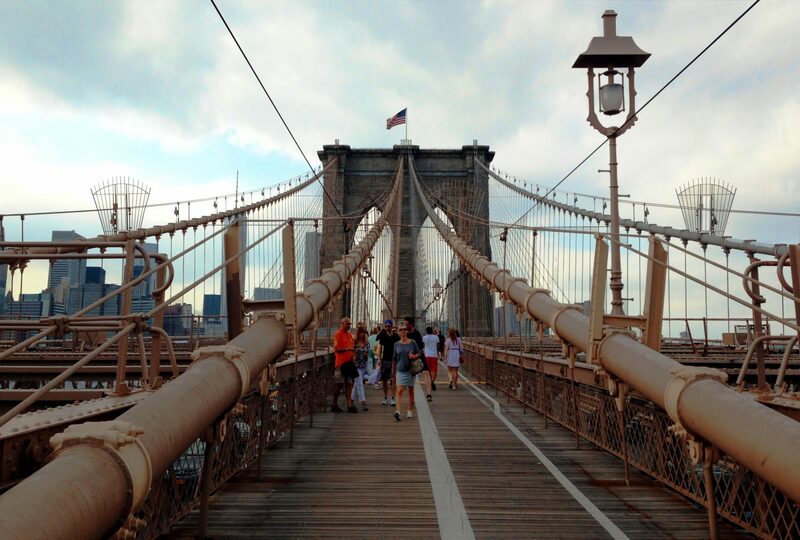 Walking the Brooklyn Bridge is a must in my opinion when in New York. I mean you can walk it, drive it, bike it, or just admire it. One way or the other, the Brooklyn Bridge is one of New York City’s most famous routes, both for tourists and born-and-bred New Yorkers. 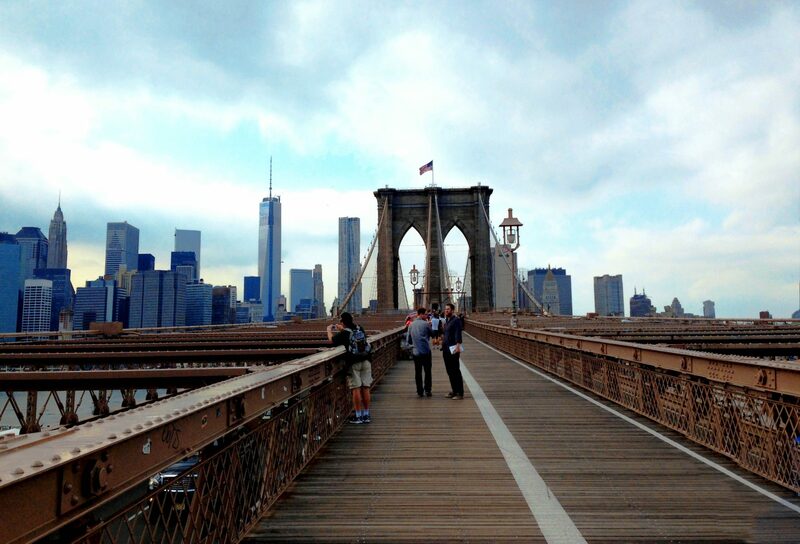 You can either walk from Manhattan to Brooklyn and return on the subway or vice-versa. The view is great in either direction, but walking toward Manhattan is a little more scenic with all the buildings in front of you. Better yet, walk both ways! 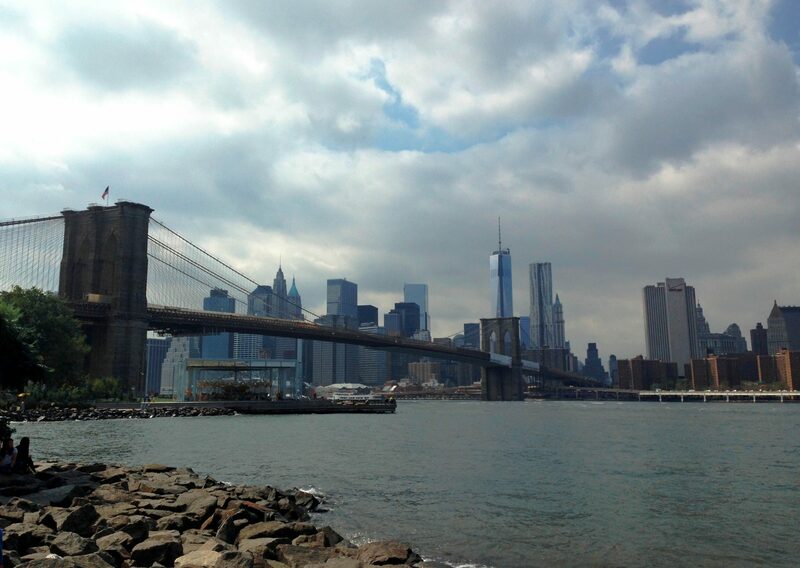 Once you reach Brooklyn you should check out the views from Brooklyn Bridge Park. 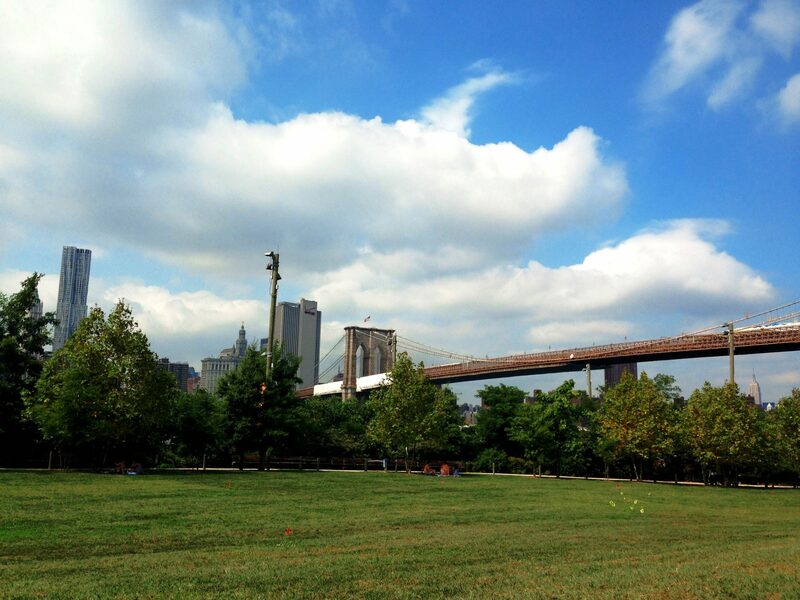 This small gem of a park offers breathtaking views and visitors stop and gaze at the postcard-perfect sights of New York City while picnicking on its grass. Another must is DUMBO (Down Under the Manhattan Bridge Overpass), a tiny neighborhood with spectacular views of Manhattan. 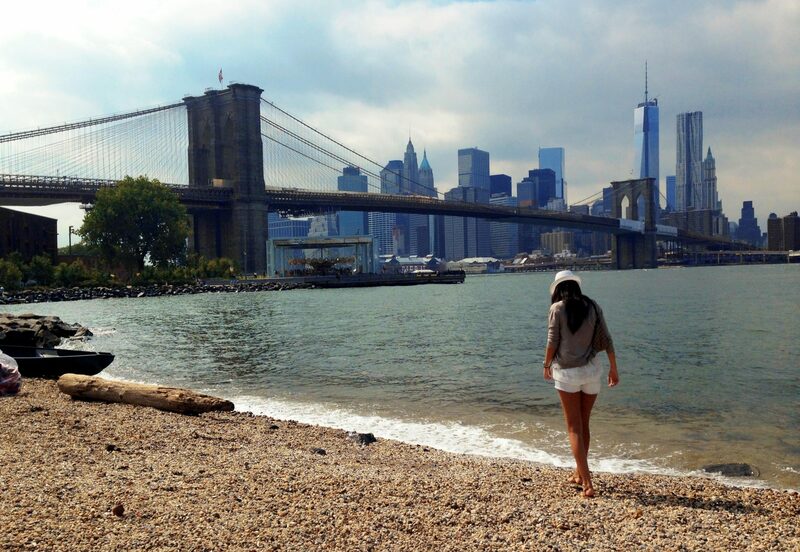 You can take a break at Pebble Beach to throw rocks in the harbor and enjoy the view of the Brooklyn and Manhattan Bridges before the amazing city skyline. On the waterfront between the Brooklyn and Manhattan bridges is Jane’s Carousel, which you’ll want to check out if you have kids.